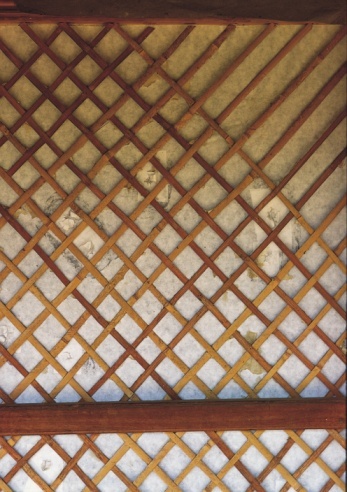 A lattice is a crisscrossed framework of strips of material (or laths), such as wooden planks or tree branches. It can be used for decorative purposes, privacy screens, trellises or arbors, fencing, wind breaks, and so on. When working with tree branches it is tough to fill a lattice for maximum privacy, but you can cut or modify the branches to create a thicker, flatter surface. Although these directions are specifically for how to make a tree-branch lattice, almost any material can be used in this fashion to make any lattice. 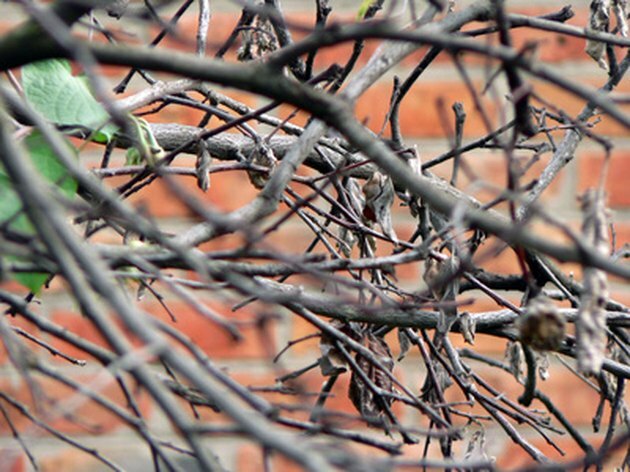 Choose tree branches that are all similar in size, shape and length. The laths will be running opposite ways and fixed together, so a comparable size is important. Also, choose four (or more depending on the size of your project) larger branches for the framework. Try to use a fairly flexible, decay-resistant wood for the maximum lifespan of your lattice. For example, red cedar is weather-resistant and repels insects, and birch is flexible and shock-resistant to various climate changes. Plan ahead. Decide what your lattice will be used for (privacy fencing, to support plants or vines, as a wind screen, etc.). Depending on the intended use of the lattice, the laths can be laid diagonally, vertically or horizontally, with varying gaps between the strips. Manipulate or cut the branches to create the optimal wooden laths for the lattice you wish to create. Start by laying your tree branches in opposite directions and crisscrossing them to make a basket-weave-style pattern. This will strengthen your lattice and provide the desired structure. Nail the laths together if necessary to provide permanent support. 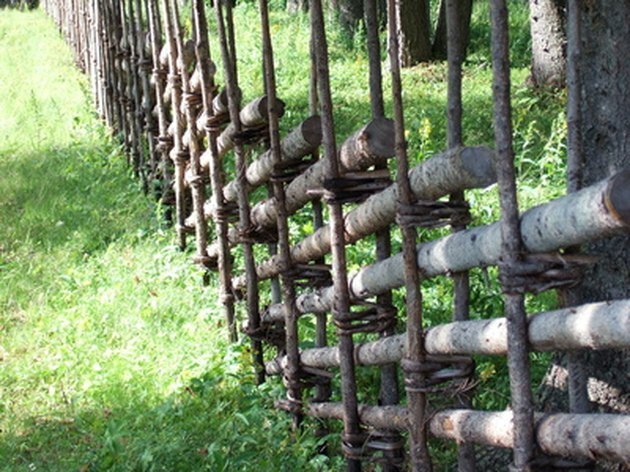 If you are using larger branches to make a lattice fence, use the ground to help support and create your weave pattern. Cut the branches at the ends to the desired length so your lattice fits the desired framework. Use the larger branches or wooden planks to fix the edges of your lattice. If you are creating a larger fence (like the one in the photo above), use rope to tether the laths together and keep the fencing in place. Treat the wood or tree branches with any sealant, weatherproofing or paint, if desired. This will provide extra protection from the elements or insects and a nice presentation. Repeat the above steps to add as many sections of lattice as desired.